If I asked you about storing your files, do you think about manila folders, document dividers, and piles of boxes cluttering your workspace? If so, here’s a revelation for you. There is a way that you can store everything you do, in one place, accessible from anywhere, at any time, and it will instantly change your life. Cloud storage. You might have heard about cloud storage, you might even use it sometimes, but do you really understand the full benefits and potential cloud storage holds for your business? Investopedia defines cloud storage as “a way for businesses and consumers to save data securely online so it can be accessed anytime from any location and easily shared with those who are granted permission.” A “cloud” is a remote storage space that is provided by another company, and holds your files over several servers to ensure that it is secure and safely stored for access at any time. As someone who works from home, the freedom to access client files without having to store them on my computer, risk running out of space, losing or damaging files, or having clunky paper files stored where my son can reach them, is immeasurable. And that would be the same if I was working in an office space (minus the son of course), or anywhere for that matter. Cloud storage has revolutionised the way that businesses are able to store and access their data, and ensures that a secure back up option is available for important files. Imagine the efficiency savings in an environment where you simply save a file to a cloud, then have a colleague or staff member pick it up and collaborate on it immediately. No longer do you have to wait for courier services, postal services, or even email services which can sometimes be delayed. Cloud storage offers instant shareability of what you are doing, which can only enhance collaboration and efficiency throughout your team. The cloud concept has grown over time, and now there are several major companies that specialise in providing cloud storage services. Names like DropBox, GoogleDrive, Microsoft One Drive, and Apple iCloud are synonymous with doing business these days, and they all have significant benefits to your business. Most providers of cloud storage offer a limited free service, and for larger storage capacities there are paid subscription options. DropBox is perfect for sharing large files like photos or videos, and as a Social Media Manager, I use DropBox a lot with my clients to instantly share their content. It also offers my clients the option of then sharing their content with their team, without having to save it locally, or move it somewhere else. Microsoft One Drive is my personal favourite for storing my own files. I lost years of memories when my old phone got crushed, so now everything I have is backed up to my Microsoft One Drive so I can access it any time. This is also particularly important if you regularly update your technology, and find yourself with a new phone every year. GoogleDrive works in conjunction with G Suite, and a lot of my clients use this as their primary storage option. GoogleDrive is especially great for collaboration as several people can work on the same document simultaneously without too much difficulty. And if you are an Apple user (Personally I’m an Android addict, but I know there are Apple lovers out there), the iCloud is an Apple specific option that ensures compatibility and continuity across your devices. There genuinely is a cloud storage option for everyone. So if you aren’t already using a cloud to store your files, I highly recommend you consider your options. 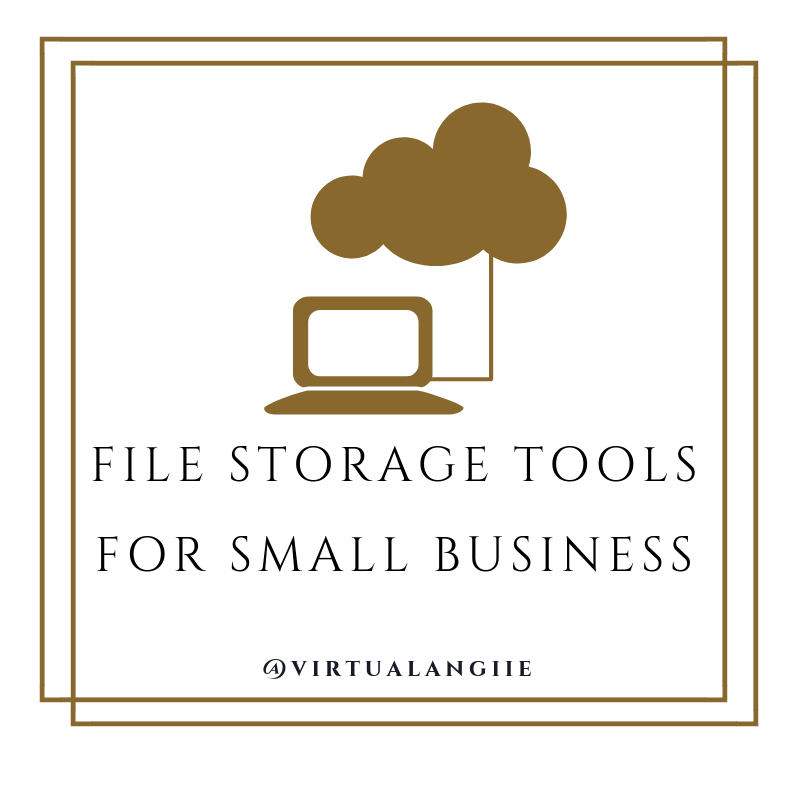 Virtual Angiie has options available to support you in the implementation of cloud storage for your business, and I would love to talk to you about how we can revolutionise the way you and your team work. Cloud storage isn’t the way of the future, it’s the way of now. So, let’s get started! It also saves time as there is massive reduction of paper and printing. deciding on the the most appropriate e – Book reader can be a daunting task.